Are you interested in new flooring for your home? Most homeowners do take their time when it comes to new floor tile, wood, or other material. It’s important you get exactly what you want because the flooring you choose today will be around for a long time. A great way to choose the best flooring tile for your home is to take a look at some flooring trends that are making their rounds through homes all over the country. Trends lead the way in style, fashion, and other industries. The same goes for flooring. 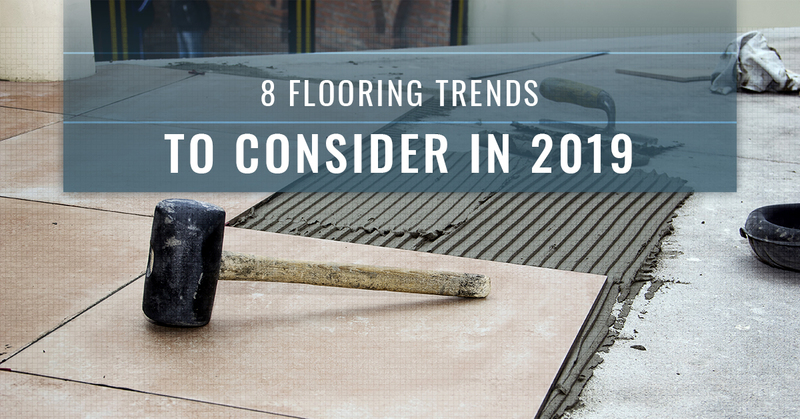 Below, you will find the top eight flooring trends of 2019 that may give you some ideas on how to redo your own flooring. Natural, recycled materials are all the craze right now. With a focus on the environment, many new homeowners (now millennials) are opting in for eco-friendly home materials. This means that flooring will see a shift toward green alternatives. A strong, fast-growing “grass,” bamboo is a great option for flooring. It’s stronger than most hardwoods, and it offers a variety of colors and styles to those interested. What’s more, its thin-band style offers a unique aesthetic to flooring not seen anywhere else. Bamboo is a versatile flooring option that we’ll see more of in 2019. As new technology intermingles with classic flooring looks, you get options like reclaimed hardwood. The timeless hand-hewn look is a desired aesthetic for many homeowners who want the classic feel and look with their floors. What’s more, you can find reclaimed hardwood for second-hand prices and get a similar outcome as brand new hardwood flooring. An upcoming trend in 2019 is the increase in tile sizes. Even a decade ago, 12 inch by 12 inch tiles were large. Now, tiles are being seen at 36 inch by 36 inch. 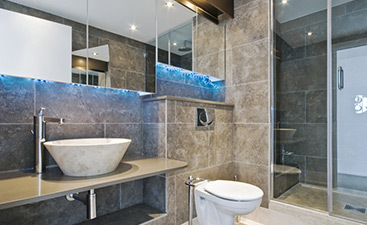 This explosion in tile sizes is offering a unique aesthetic to smaller spaces, making rooms look larger. 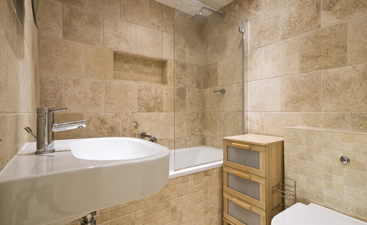 Large tiles also mean less grout work. Do you want amazing acoustic qualities in your floor? Cork flooring products are great sound absorbers. Cork is also super comfortable to walk along, as well as warm compared to traditional wood floors. What’s more, cork has expanded its color palette and now offers many different color choices. Most people think peel-and-stick when they hear about any type of vinyl flooring. However, luxury vinyl is more of the wood-look variety of flooring. This means that it looks like hardwood but performs like vinyl. It’s a durable, water-resistant option that is more cost effective than some higher-end materials that won’t last as long. If you want a sustainable, hardwood experience, American hardwood is a great flooring option. The re-emergence of hardwood sourced from America is making a comeback. And homeowners are loving it. The tough, natural look paired with easy maintenance make this flooring option a great choice. You may find concrete cold and hard, but it’s a gorgeous material to use as flooring in certain rooms in the home. A concrete floor is easy to clean, maintain, and upkeep for years to come. What’s more, a resurfacing treatment is all you need when it comes time to update the flooring. A variety of colors, shades, and styles are available, too, which makes it easy to get the exact look you want to supplement each room of your home. 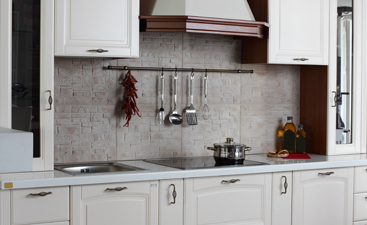 At Transworld Tile, we work to help you find the best tile for your needs, whether its for your walls, backsplash, or floors. You may have some unique tile needs, too, which we can help with. After 30 years in the tile industry, we know what it takes to find the best tile for your project. What’s more, our showroom professionals are ready to help you find top-tier tile options for you. Stop on by our showroom that serves San Fernando, Thousand Oaks, and Los Angeles to discover your next tile purchase for 2019.